Get started with your new website on our cPanel Web Hosting Plans. Install your favorite apps with Installatron and you'll be up and running in no time. Whether you're a promising start-up or an established business, you'll appreciate the level of stability and performance of our High Availability Cloud Servers. All of our Dedicated Servers are hosted in a state of the art UK, USA Data Centre, backed by our carrier neutral network and a 99.9% uptime guarantee. DomainsHoster offers solid Cloud Hosting for Pakistan Businesses. Our feature rich cPanel Web Hosting Plans have a generous amount of online tools. Which will make it easy to install your favorite CMS like WordPress, Joomla or Drupal and eCommerce Shopping Carts, like Magento, Prestashop or Opencart, plus lots more. You’ll appreciate the speed and features Domainshoster’s web hosting solutions deliver. See our huge variety of free web applications that can be installed with one simple click! When you’re running a mission critical solution, you need to be certain that your services and sites are online 24/7. Our VPS Cloud Servers provide High-Availability resources that are not confined to a single dedicated server. Domainshoster’s highly available cloud infrastructure has been built using Cloud, the leading virtualization technology. Our VPS Servers are designed for mission critical VPS hosting and maximum redundancy. Get everything you need from a dedicated VPS hosting solution. Our VPS Hosting Solutions are build on state of the art technology, allowing you to have the full functionality of a dedicated server, in a fully virtualized, safe environment. 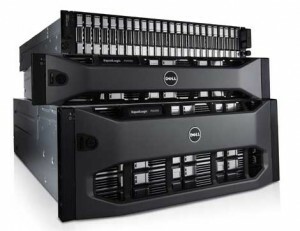 All our Dedicated Servers are hosted in a state of the art UK AND USA Data Center and are running on Dell Enterprise Servers. Additional, a fully redundant network, managed firewalls and remote reboot provide extra peace of mind.